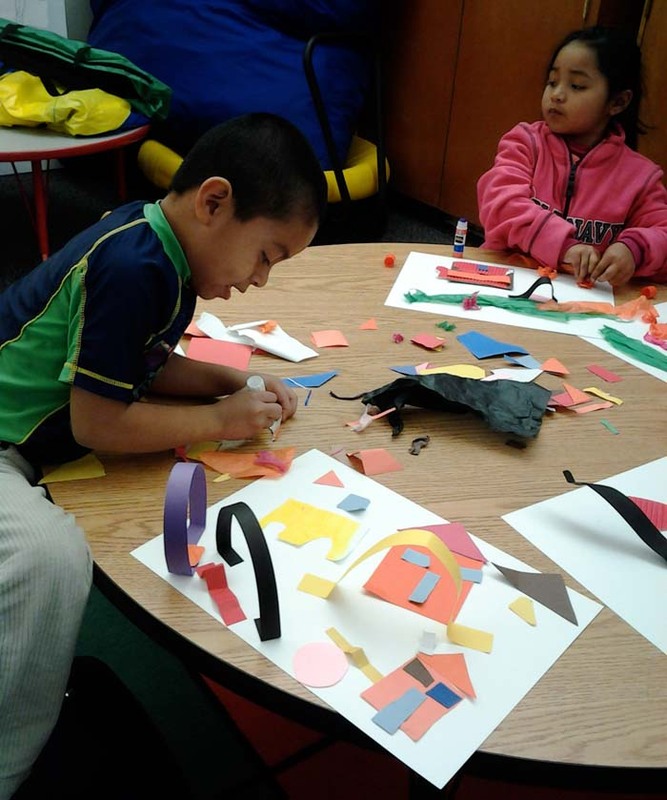 Kindergarten and 1st grade students at Short School worked with Mentor Artist Angela Baker and assistant Gracie Von Glasenapp to create a mixed media mural. 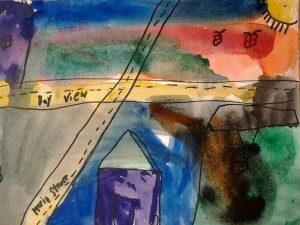 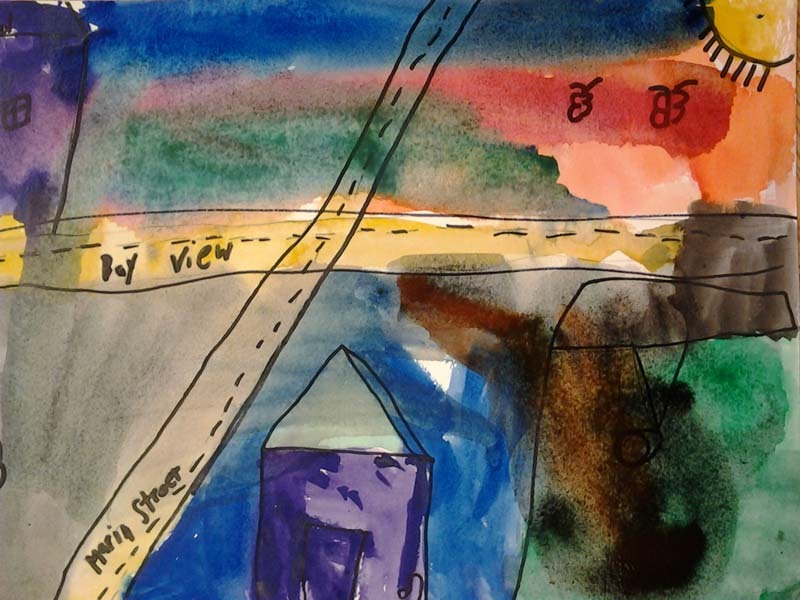 Over the course of 10 weeks students worked with a variety of art media such as sharpie markers, tempera paints, watercolor and collage to explore ideas of family and neighborhood. They also developed art making skills that would contribute to the creation of a 4’X8′ collage and watercolor mural of the neighborhood surrounding Short School. Students began by sketching family portraits which were painted in tempera paint. 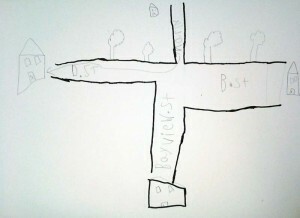 Then students used pencil, sharpie and watercolor to create maps. Some students created collages of buildings. 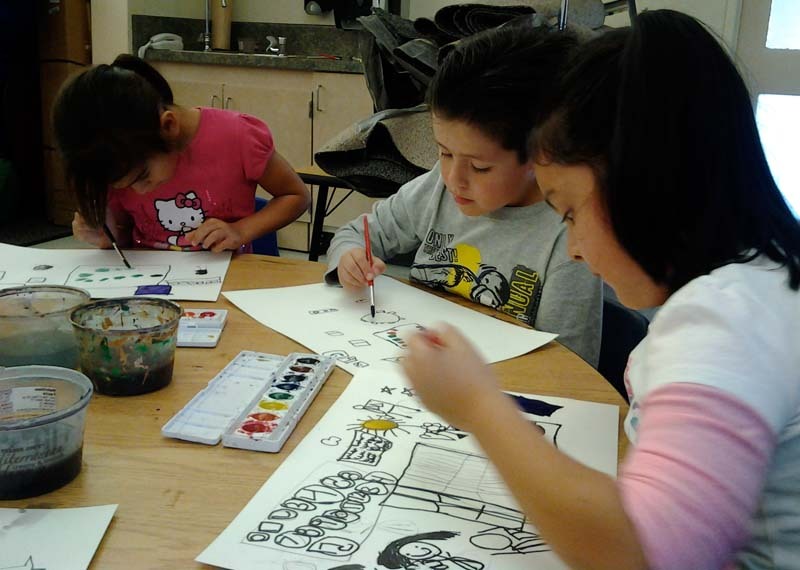 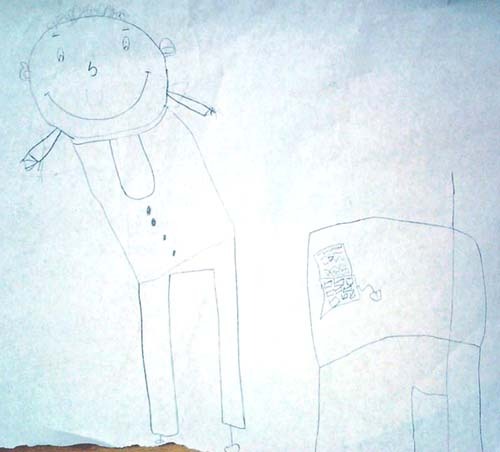 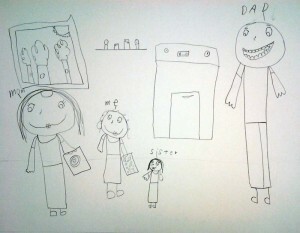 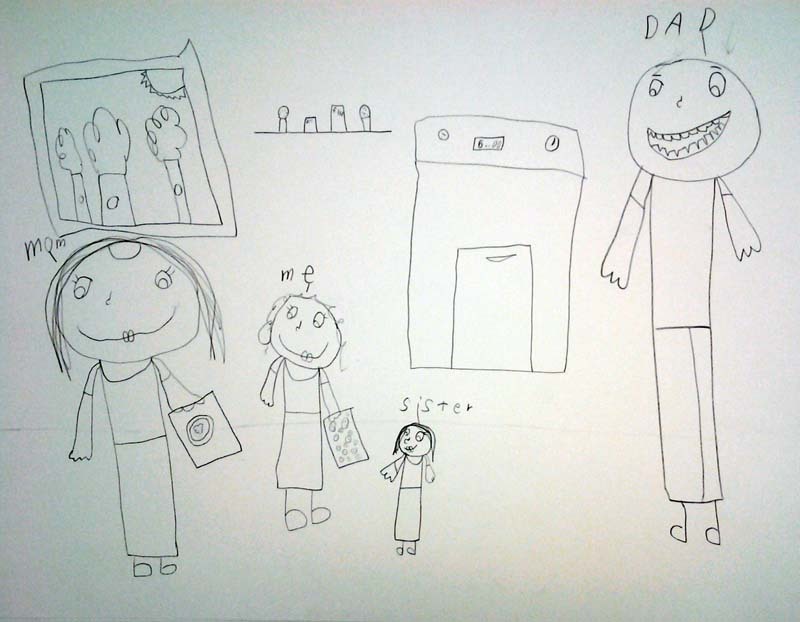 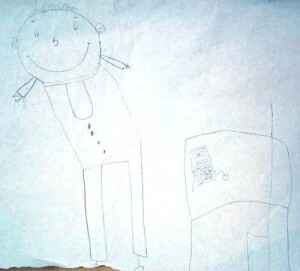 In addition, students kept sketchbooks where they could explore their favorite things and draw self-portraits. 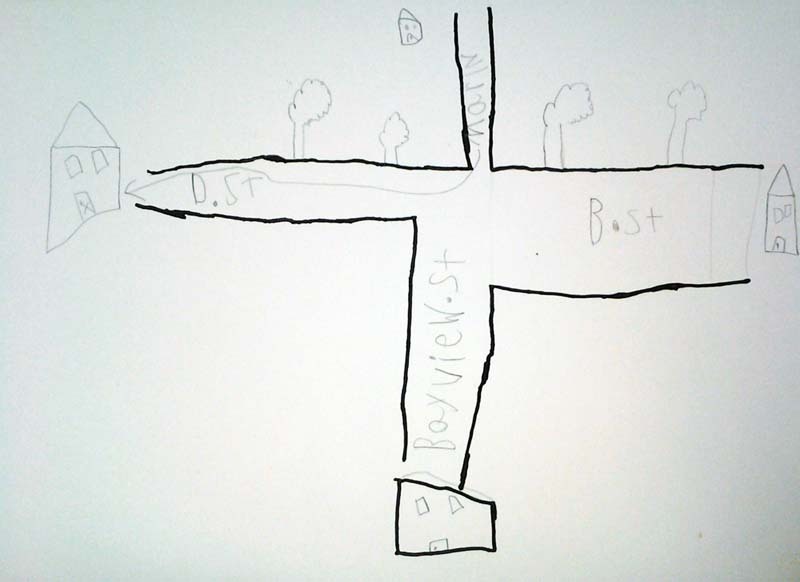 Finally, the Short School students drew pictures of their neighborhood and citizens, concepts that connected to their class studies. 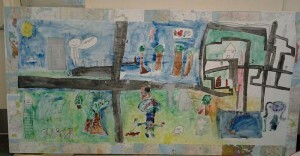 They collaged their drawings onto a panel and painted it with watercolor.